MORE than 50 ginger farmers from Tailevu participated in a workshop earlier this month to discuss the possibilities of accessing green finance from the Asian Development Bank (ADB). Facilitated by the Fiji Crop and Livestock Council (FCLC) and Agriculture Ministry, the one-day workshop was held at Namau. According to a press statement issued by the FCLC, green finance is broadly defined as financial investments that encourage economic development by supporting sustainable development initiatives and policies. FCLC said the Ginger Farmers Association was one of the 13 commodity associations that made up the council and ginger had been identified as a commodity of interest that would be suitable for adopting a sound, agriculture-based, value-chain finance model. A value-chain is a set of linked actions that add value or improve a product, while linking producers with processors and markets. Speaking at the workshop, ADB finance sector expert Simon Thompson said ADB was part of the reform initiated by the Fijian Government that would allow improved access to finance for farmers. Under Government’s new reforms, farmers would be able to use assets such as crops and contracts as collateral for loans. 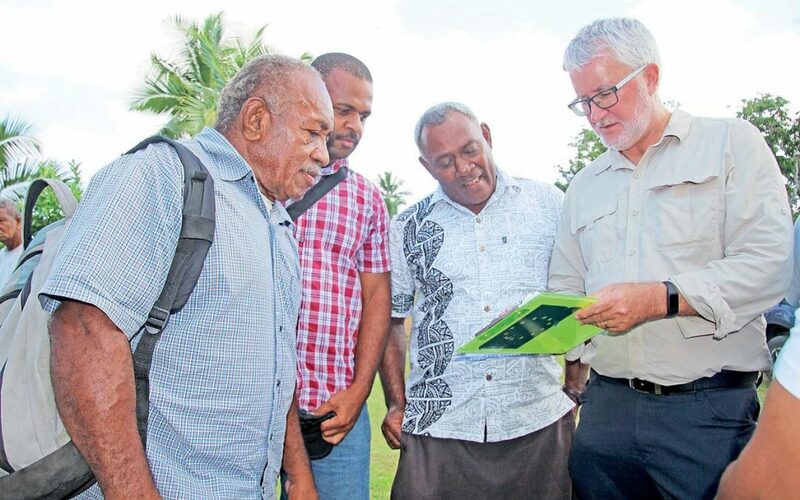 “We are now talking to people in Fiji like the ginger farmers as to how we can help them do more farming and how they can get financial assistance,” said Mr Thompson. In November, FCLC and the Fiji Development Bank signed a memorandum of understanding to work together to improve farmers’ understanding of financial literacy, crucial to increasing returns from their agricultural businesses.